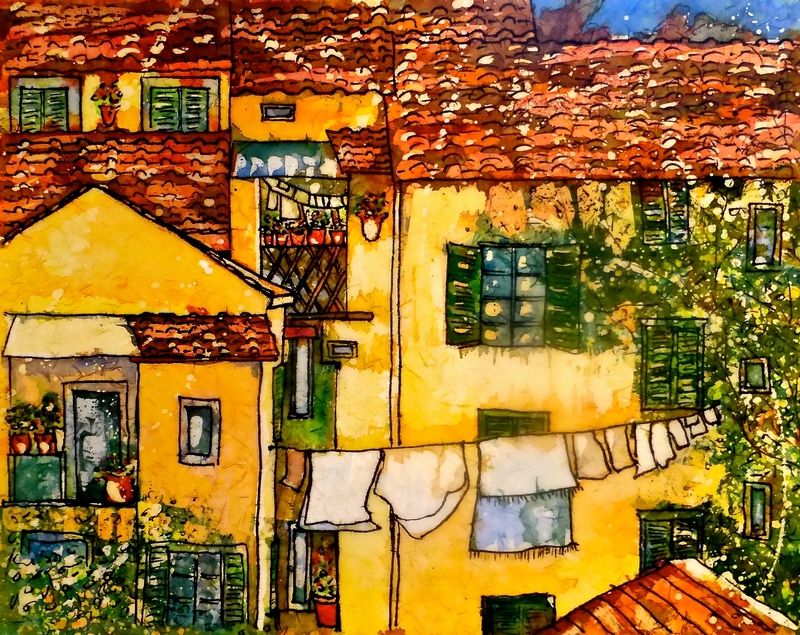 I have been working on my art journal I am making of Lucca, Italia, and I came across the photo (below) I worked off of, for the above piece in a wax resist class. The wax resist piece is huge – about 20″ by 24″ so it’s much larger than the journal!! I am gluing down a small version of it in my journal, alongside the photo I snapped when walking on the wall in Lucca, Italy. Lucca is a lovely town in Tuscany where I have years of memories learning Italian, painting, eating great food, and just resting. It’s the one place where I have no allergy issues. I’ll be heading to Lucca soon to spend time with my mentor, Marge, rest at sea level – getting the greatly needed oxygen my body lacks a bit in Colorado Springs – and I’ll spend some time being inspired by beauty. My soul is nourished in my dad’s homeland, and Lucca is familiar and friendly. 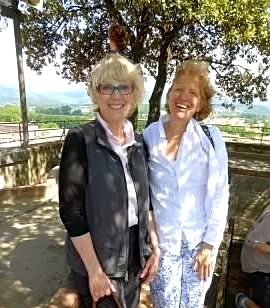 For me, going to Italy, something I’ve saved for all year, is another way to fight cancer, enjoy my friendship with Marge, and just laugh a little within the beauty God gave Italy. Marge will push me to make some art – and that’s good, too! 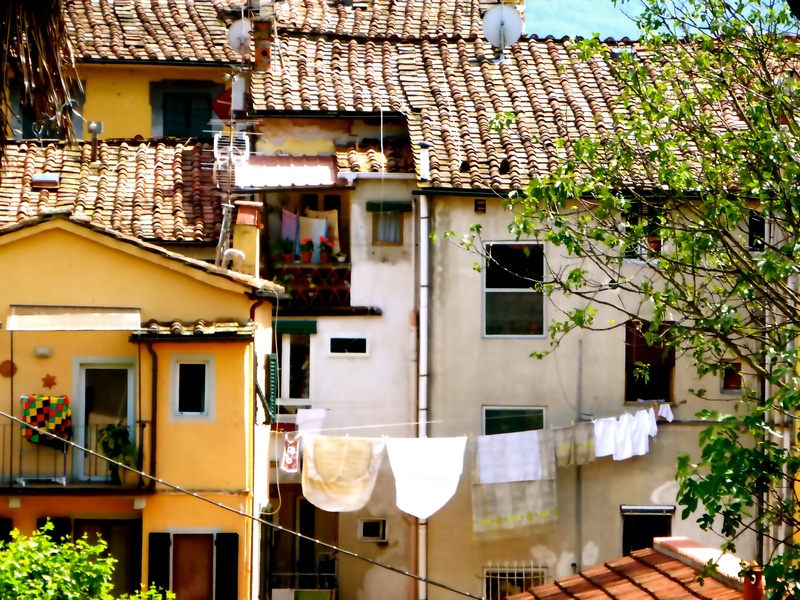 As you can see from the work above, I will be inspired by Italy and my time with Marge, long after we come home.